Thanks for stopping by my coaching page. Here you will learn a little more about the coaching process, background, and philosophy. My coaching process begins with an initial session in which we discuss your particular history, context, and goals. This generally takes 1 to 2 hours and can be done in person or over the phone. From there we will schedule weekly check-ins that last 15 to 30 minutes. Check-ins can also take place in person or over the phone. Some clients prefer to have ongoing coaching sessions while others have set out to have coaching for a specific period of time to accomplish a specific goal. Looking back, I'd say my coaching career actually started in middle school when I was chosen by my peers to take part in Natural Helpers, a national program that trains students to serve as peer support systems for other students in their schools. I continued to be a natural helper through high school and know now that this training and opportunity set me on a path of helping others address challenges in their lives and achieve their goals. My formal training in coaching comes from my experience in HR roles and athletic coaching. My HR roles included positions in corporate HR at Nordstrom, Inc. and UW Medicine. Along with traditional HR functions, I also took classes and attended trainings to improve my career counseling, organizational development, and executive coaching skill set. My athletic coaching started with rowing. I dabbled in rowing in college then rowed for several years after college during which time I also taught and coached rowing. 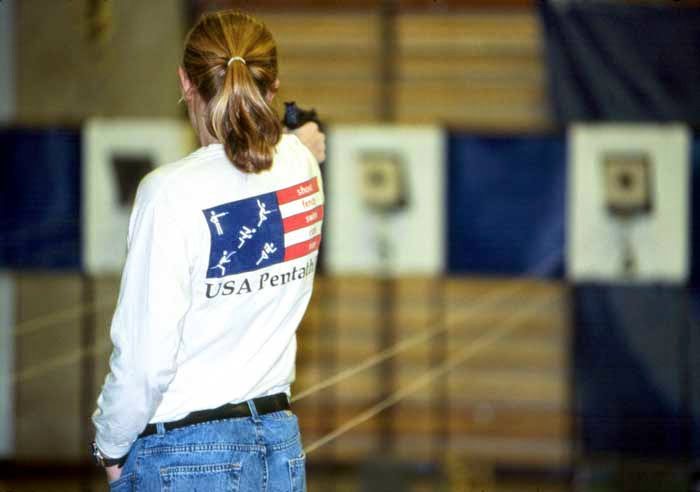 In addition to rowing, I also took up triathlon and pentathlon after college. To improve my swim times I attended a weekend workshop called Total Immersion that featured a swim style and training system developed by Terry Laughlin. Not long after the workshop I signed up to become one of their coaches. Within a few months I was flying up and down the west coasting helping to coach the weekend workshops. Several of the swim workshop attendees commented that they really liked my coaching style and asked if I did any life and/or business coaching. So it was at that point that I started serving as an 'all in one' coach to several clients, offering support in achieving their life, work, and fitness goals. I coached up to 15 clients for through 2006 and then stepped away from coaching to focus on my own career goals, though I have continued to support a handful of clients since 2006. In 2015, I revived my coaching practice and am excited to take on new clients. My philosophy and approach to coaching goes back to my senior year in high school. 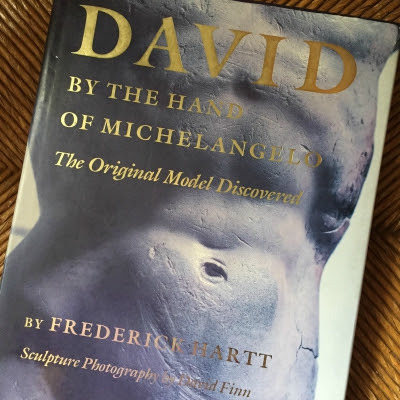 I stumbled upon a book at a used book store called David by the Hand of Michelangelo: the Original Model Discovered (above). I was fascinated with the book and the small model of the Michelangelo's David that measured just 21cm (just over 8 inches). Reading the book lead me to learn more about Greek and Renaissance art. I was reading about Aristotle and several documents made reference to his belief that the purpose of life was to develop one's mind, body, and spirit to its fullest extent. That discovery was formative for me and continues to guide my own goal setting and outlook on my own life. When I began coaching, I used this same idea as a guide for my work with clients. With the objective of developing one's mind, body, and spirit as both a long-term and daily objective, identifying and accomplishing specific life, work, and fitness goals becomes both enjoyable and achievable. It is important to note that 'fullest extent' is certainly different for each individual and also is likely to change over time. One question I often receive is regarding the 'spirit' element of this framework. For religious and spiritual individuals, this certainly involves identifying and achieving goals within that context and I am very capable of and comfortable in supporting efforts in this area. For all of my clients, regardless of worldview (including non-spiritual individuals), I can say that developing one's spirit also involves things such as walking in nature, appreciating or creating art or crafts, writing poetry, participating in cultural events, etc. so regardless of a client's worldview, I am confident that goals can be established and accomplished in this area. 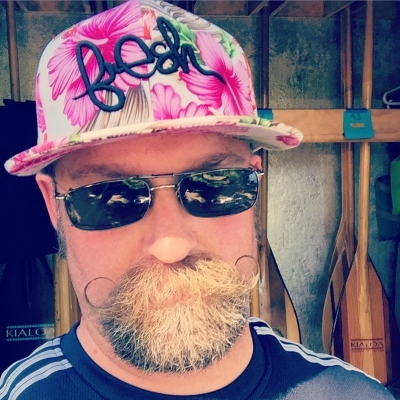 As a former competitive rower and pentathlete, Sean has trained and competed extensively in both conventional and very unique sports over the years. He has also coached rowing, swimming, and running on and off since 2000. Having been a Total Immersion (TI) coach for five years, I strongly believe that swimming should be something you enjoy rather than something you dread...whether you're training for a triathlon, just getting into swimming as a low impact fitness option, or getting over your fear of water. I can't recommend TI highly enough as a way to learn and/or improve your swimming. When you're ready to 'dive' into swimming seriously, please consider TI as one of your first steps. Their website, DVDs, and workshops are truly the best around for an easy, accessible way to improve your swimming. Sean's run coaching comes mostly from triathlon workshops associated with Total Immersion which utilized the Posetech style and philosophy of running. If you are in the Seattle area, Sean offers individual, small group, and team swim and run training and coaching. Standard hourly rates applies for individual coaching, small groups are generally $20/person and team training is generally $15/person. Sean has served as a motivational coach for individuals and athletes in other sports and can assist in finding technical coaches as needed. Sean is also available for workshops outside of the Seattle area. Simply contact us for more details. 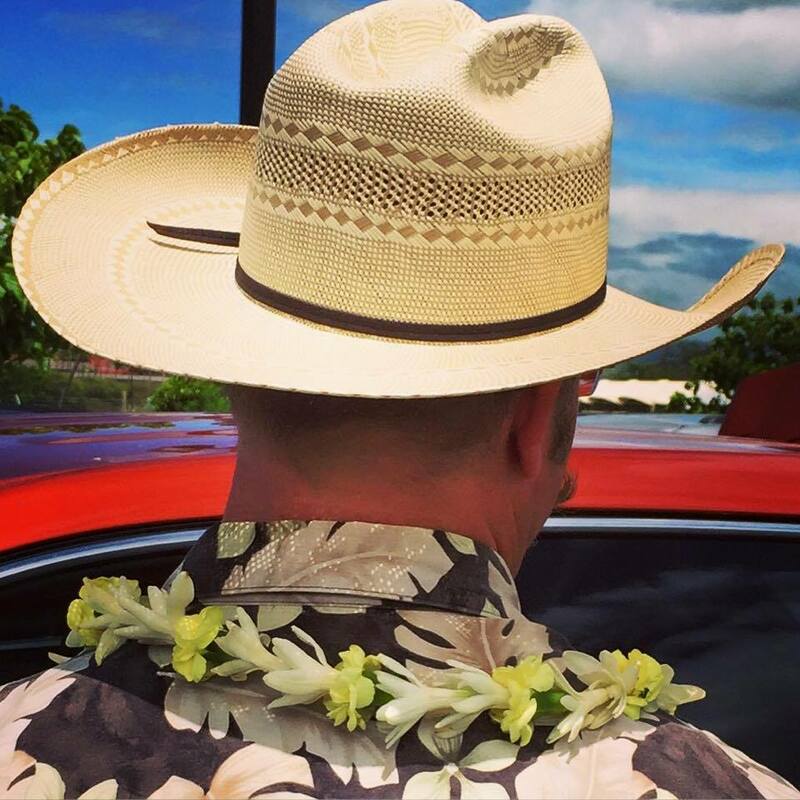 Sean has been called by many friends and colleagues "a true renaissance man" due to his diverse interests and experiences. In the business world, Sean's 14 year tenure at Seattle-based fashion retailer Nordstrom included positions in sales, corporate human resources, information technology, and sustainable business & development. While still in college, Sean served as an international expert on Russian venture capital funds. Sean earned his Master of Arts in Policy Studies at University of Washington - Bothell focusing on sustainable development and conservation finance. Sean's science background begins with science degrees in psychology (behavioral ecology) and environmental studies (conservation biology). He has taken part in research projects throughout the world including field work on song sparrows and terrestrial amphibians in Washington, investigating zoos of the former Soviet Union, studying snow leopard ecology in Ladakh (India), and evaluating the population status of Sandhill cranes in Cuba. Sean's travels also give him the opportunity to practice his language skills in Spanish, French, German, Russian, Chinese, and most recently Lushootseed. In 2003, Sean co-founded the Sustainable Style Foundation with another Nordstrom alum to work across 15 design industries to promote sustainable design and sustainable personal lifestyle choices. He continues to serve as a board member and volunteer for many nonprofit organizations. In his spare time, you'll find Sean reading up on the latest advances in the many science fields he is passionate about, keeping up on the latest innovations in design, or performing Schuhplattler (Bavarian Folk Dancing). Add to that his many hobbies that include basket weaving, poetry, international travel, as well as his athletic pursuits: outrigger paddling, continuing to train for modern pentathlon, and dabbling in polo. I was joyfully surprised to see a swim class with so many diverse participants. The different ages and backgrounds really added to the group dynamic. I can't stop talking about what a wonderful, enlightening weekend I had.